Microsoft delivers yet another Windows 10 PC build 15048 and mobile build 10.0.15047.0 to Insiders. The latest Creators Update Insider build released to Fast Ring Insider members. The latest build brings bug fixes and other improvements. Recently, Windows Team released build 15046 for PC and build 15043 for mobile devices. Check out the complete list below. Fixed the issue where some UWP apps may unexpectedly appear with their app package name in the title bar as opposed to the app name. [GAMING] Fixed the issue where some popular games might minimize to the taskbar when launched. Fixed an issue where copy and pasting URLs to and from the Microsoft Edge address bar with spaces wouldn’t convert spaces into %20. Fixed an issue resulting in the LastPass extension for Microsoft Edge sometimes unexpectedly failing to show its autofill buttons on recent builds. Windows 10 build 15048 also fixed a recent issue resulting in unexpected characters sometimes being pasted when pasting into certain websites using Microsoft Edge. Fixed an issue where using the mouse wheel to scrolling in Microsoft Edge might not work if the window was made smaller or moved to a different monitor. Windows 10 build 15048 fixed an issue for those flighting recent builds on laptops, changing brightness would stop working after the first time the laptop lid had been closed and reopened when the “Lid Close Action” power policy was set to “Do nothing”. Fixed an issue that could result in not being able to type into search boxes in certain UWP apps. Fixed an issue resulting in clicked Cortana search results not opening when typing using the MS Pinyin IME. Fixed an issue where cross-device notifications from a particular phone might unexpectedly appear in two separate groups in the Action Center. Fixed an issue resulting in emails from Outlook 2016 not opening in the foreground after tapping on the corresponding notification. Some PCs will fail to update to this build at 71% and roll-back to the previous build. See this post for details. If you have Symantec/Norton anti-virus software installed on your PC, you may get an 0x80070228 error when attempting to download Windows 10 build 15048.
with Windows 10 build 15048 few issues may occur when exploring pages using the F12 Developer Tools in Microsoft Edge with cross-origin iframes (e.g. the DOM explorer shows only the iframe DOM, the Console frame selector doesn’t list the iframes, etc.). Also, Microsoft is now testing first Redstone 3 update build 15141. The next major updates to Windows 10 – Redstone 3 and Redstone 4 will come later this year and next year respectively. If you are looking for Official Windows 10 build 15048 ISO, you will need to wait further as images are currently not available. We will post more details about the Windows 10 Build 15048 ISO. 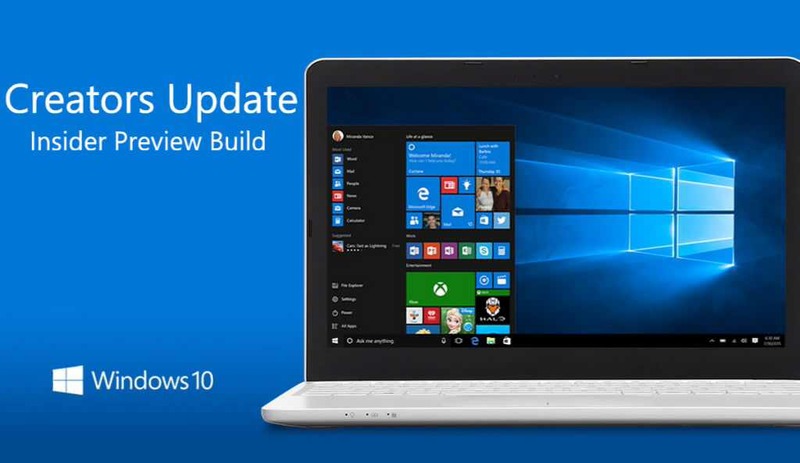 However, official Windows 10 build 15042 ISO images are now available for download. You can download ISO from here. If your Windows 10 build 15048 download hangs, stuck at 95% and other issues, check here for workarounds we have posted for previous builds.